Indoor and outdoor use. No tools required as supplied for easy self-assembly. Maximum load per shelf 25kg. HWD: 132x59x31cm (4 tier). 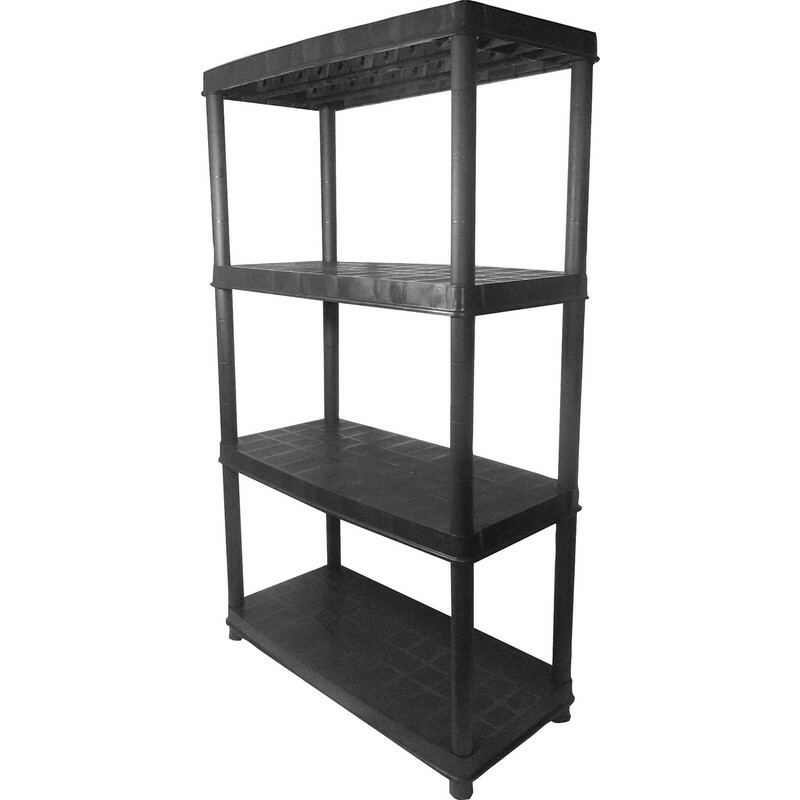 Lightweight Plastic Shelving Unit 4 Tier is rated 3.9 out of 5 by 14.